What Canon Elph Accessories Are The First Ones You Should Consider? Looking for the most popular Canon Elph accessories? Some of the best accessories are specific to Elph cameras and some are great for all point and shoot cameras. In any case, you've got lots of choices for gadgets for your Elph camera. Canon Elph cameras are one of the most common misspelled cameras, being spelled as Canon ELF cameras. The three most common accessories recommended for you to get are a camera case, an extra memory card, and a spare battery. I know what you're thinking. That's boring. Well, I agree with you 100% and disagree with the recommendation 33%. A great way to go would be to buy a kit with the right combination of gadgets, components and gizmos. Retailers market these starter kits named as "bundles." Several retailers offer kits for your Elph. These kits usually have several items and add-ons that you are specifically looking for and others that may be useful to supplement your camera equipment collection. 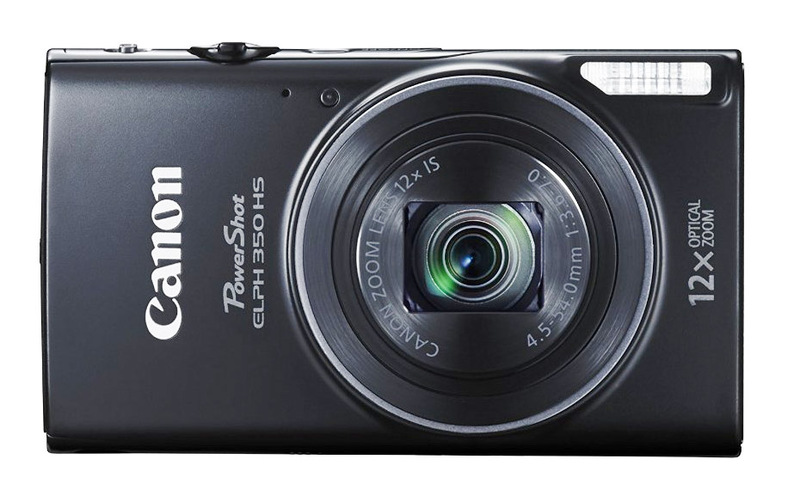 The WP-DC320L Underwater Case has been specifically designed for the Canon PowerShot ELPH 300 HS Digital Camera and is waterproof down to the depth of 10 ft.
Canon sells this accessory on its web site for around $65 at the time of this writing. Pricey for sure, but could open up a whole new avenue of fun photography for the elph owner. 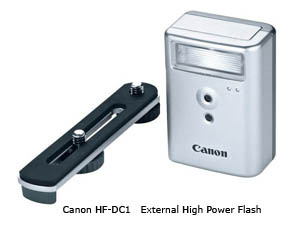 This flash accessory is compatible with the Canon PowerShot ELPH 510, 520, and 530 cameras as well as the "A", "G" , "SX", "SD", series of Canon cameras. It will double the flash range of the camera's built-in flash. One of my biggest "peeves" with most digital cameras is their wimpy built-in flashes. This addition can give you a bit of separation between your flash and the camera lens and reduce that dreaded Red-Eye. 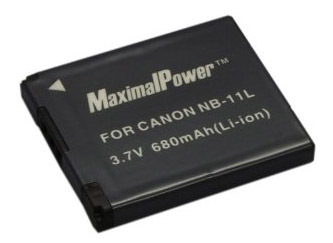 The photo below shows the Canon Elph battery kit 5, a basic accessory kit that includes 2 batteries, the charger, a case and an LCD screen protector. Just use caution to make sure the kit you get matches the Canon camera you own. There are so many models of Canon cameras it is easy to make a mistake and get the wrong one. Some of the starter kits include a tripod and that is certainly a great tool to use with digital photography. The majority of average photographers use their cameras for family events, snapshots and occasions and don't bother with such an accessory. 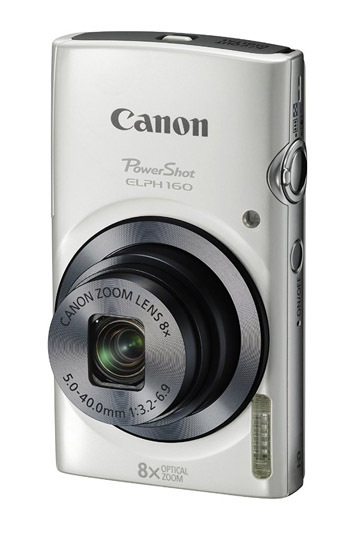 The Canon ELPH cameras are one of the four main Canon PowerShot camera categories. 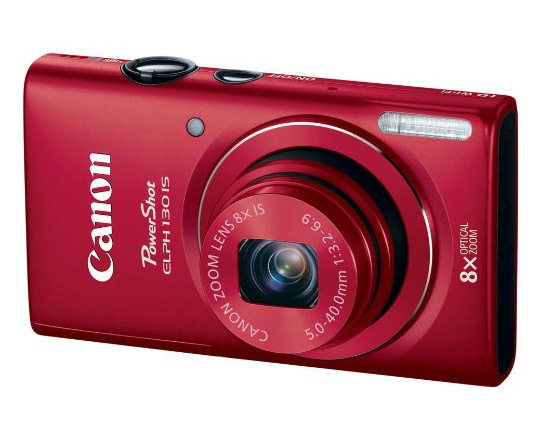 You can get more ideas on possible additions to your Canon ELPH accessories here: Canon PowerShot Accessories. For the photographer who wants to do more creative photography with the goal of getting a photo that's better than the average snapshot, accessories can be very valuable and a lot of fun to use. I order just about all of my Canon cameras, lenses, and accessories from one of two on-line retailers, Amazon and Adorama. I've had great experiences with them, so I have affiliate relationships with them. If you order from them, they send me a little financial thank you for referring them. Even if you don't order from them, they are a great place to window shop, read reviews and gather information to help you make the right decision for your situation. 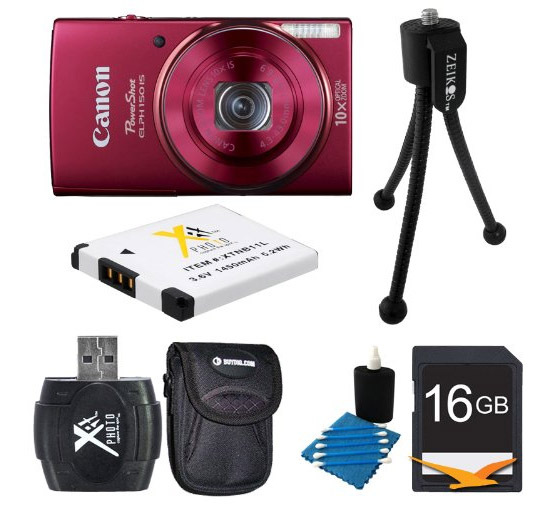 The photo above is a bundle that comes with a Canon ELPH 170, camera case, a 16 GB memory card, a memory card reader,2 batteries, a cleaning kit, and a mini tripod. You can order a kit at the bottom of the page. 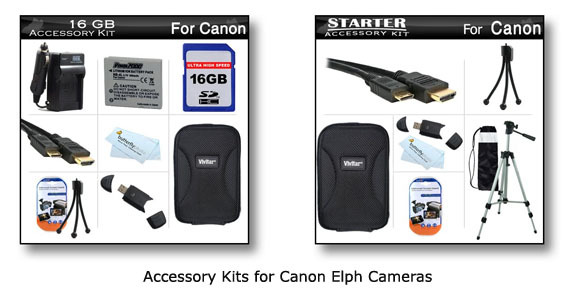 The Elph accessory bundle above comes with a Canon Powershot 150 camera, carrying case, USB card reader 2.0, 2nd battery, lens cleaning kit, 16 GB memory card, and mini-tripod. You can get more info at the bottom of this page.